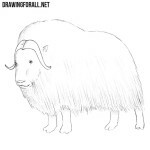 Hello dear artist and welcome to DrawingForAll. 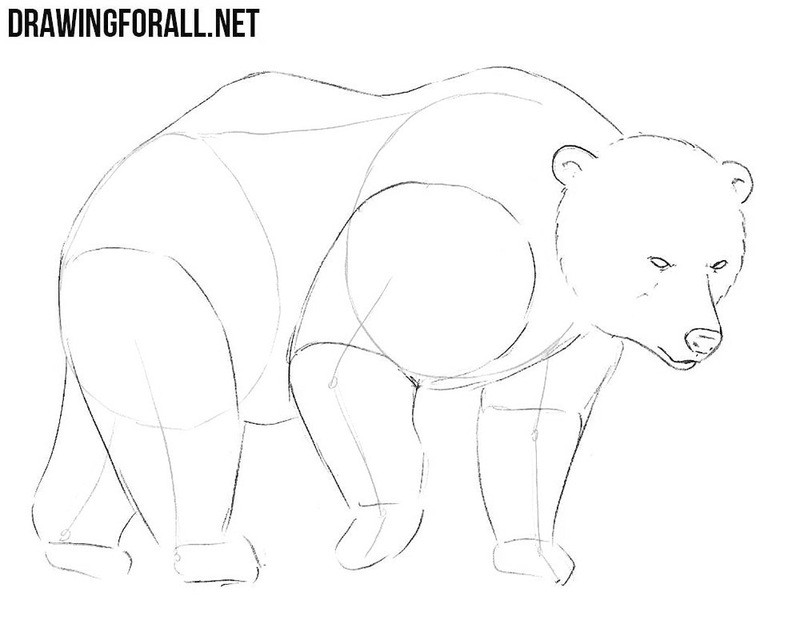 Our reader often asked us to make a tutorial about how to draw a bear. And it’s not surprising because because this animal is spread all over the world. We could meet a bear in a huge number of books, movies, cartoons and even comic books. 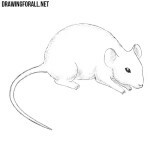 At first as always draw a circle as a guide for the head. 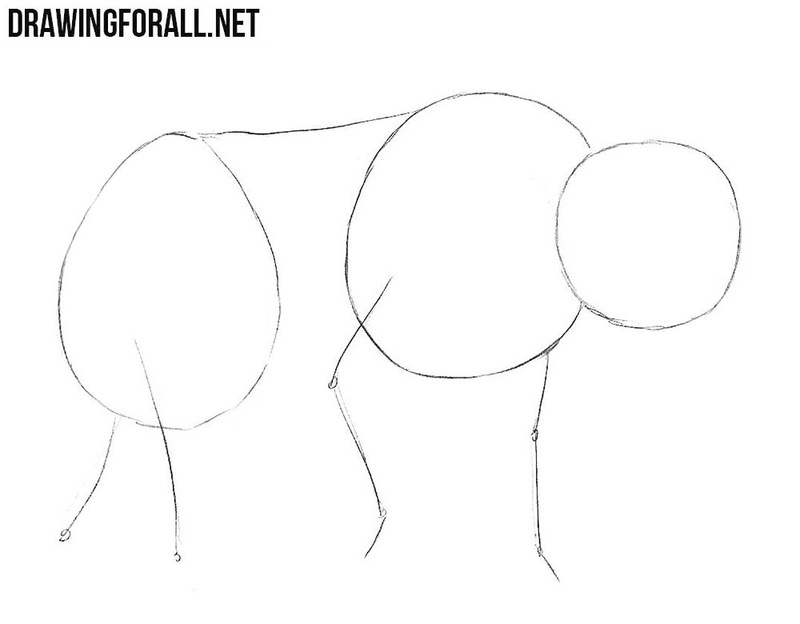 Then sketch out the body of bear using two ovals – one as a guide for the chest and another for pelvis. It’s not necessary to draw everything too smooth in this step. At the end of this sketch out the limbs. Now sketch out the lines of the facial symmetry. 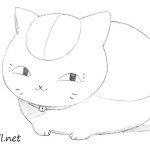 At the top of the head draw small and circle ears. 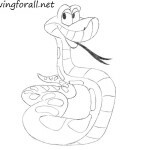 At the front of the head sketch out the muzzle. Then connect the ovals from the previous step creating the torso. 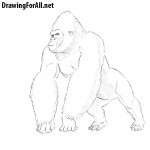 At the end of this step draw the limbs using simple geometric figures. In this step we need to be very careful. Erasing unnecessary guidelines from the head carefully draw out the ears, eyes, muzzle and contours of the head. Note that the contours should be fluffy as in our example. It’s probably the easiest step of the drawing tutorial on how to draw a bear. Here we need to draw out the contours of the torso using a fluffy line. Just like in the previous step erase all the guidelines from the torso. Let’s proceed to the limbs. Just like in the previous step we need to use fluffy lines to draw paws. Note that they must be very thick. Erase all remaining guidelines and draw out the sharp claws. It’s the last step of the drawing lesson about how to draw a bear step by step. If you did everything right and don’t need to make any corrections then you can start adding shadows. First you can draw the outlines of the shadows using very light lines and then add hatching inside the contours of the shadows. 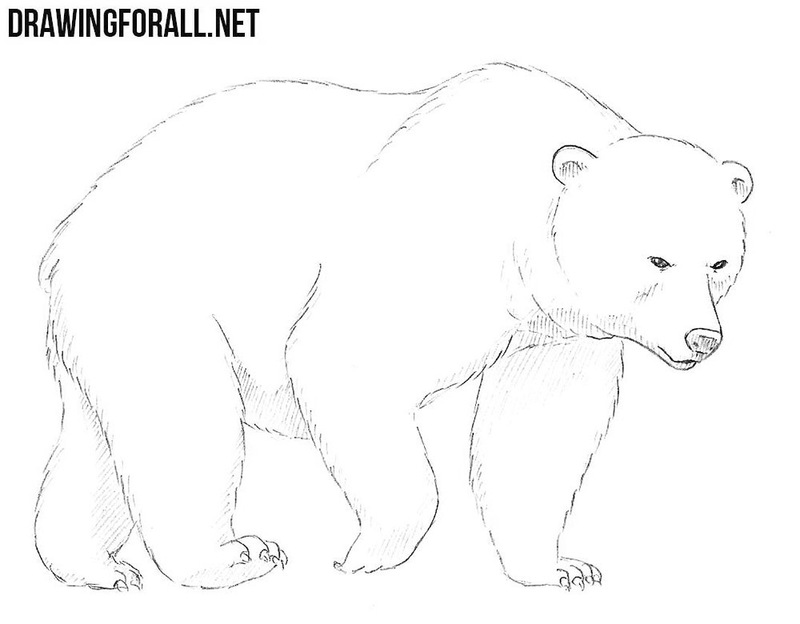 It was pretty hard to draw a bear, but at the end of this lesson we get such a realistic drawing of a bear. 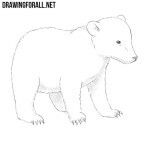 By the way, using this drawing lesson you will be able to draw a grizzly bear, brown bear and also draw a polar bear.